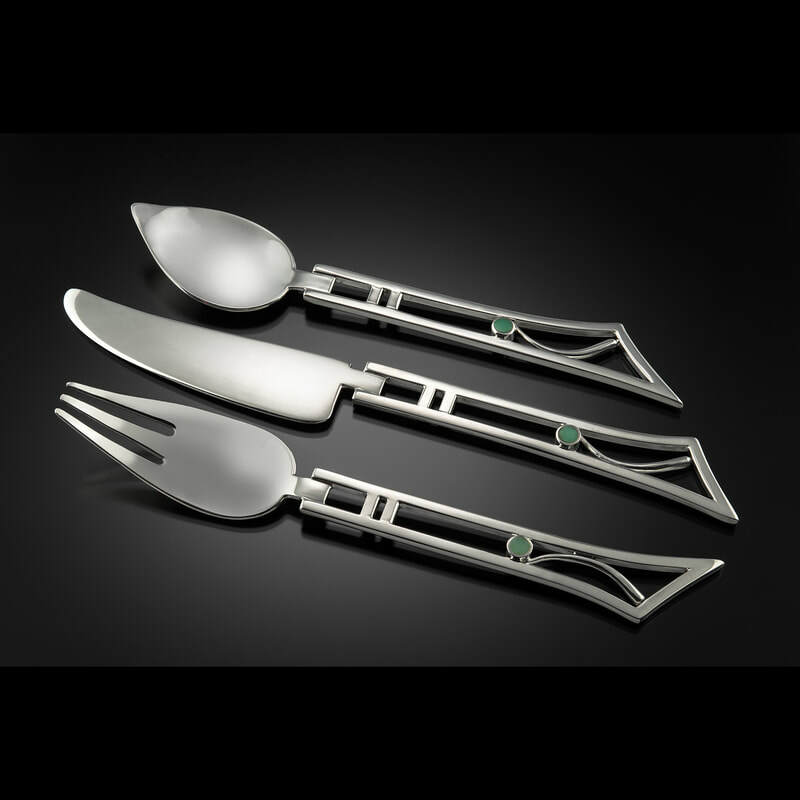 “Feast!” is a collaborative installation of uniquely designed and finely made pieces of functional artwork for the table, set against the exquisite backdrop of hand-crafted furniture. A group of West Michigan artists, aptly naming themselves “7 Hungry Artists”, planned this project over a few great dinners together. Their inspiration and execution is now a “feast” for everyone’s eyes! When you view the sophisticated, Danish inspired, walnut table and seating crafted by Matt Maher, David Tuck, and Garett Miles, hand-thrown pottery by Maggie Bandstra, blown furnace glass tumblers and vase by John Riepma, sterling and stone silverware by Julie Sanford, and textiles by Linda Culver, you will want these pieces for your very own intimate dinner with friends. 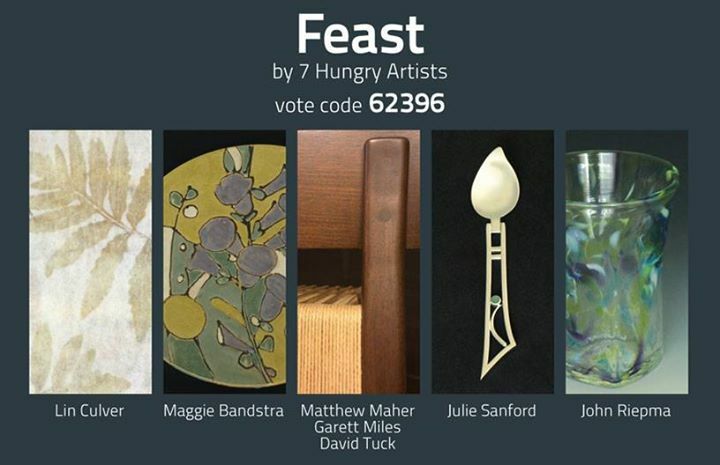 I was thrilled to have worked with this talented group of artists/designers on the Feast-7 Hungry Artists project for ArtPrize 2015. 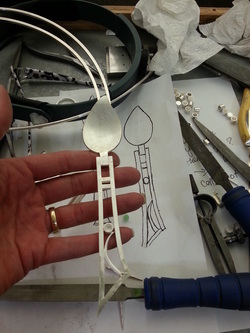 My part of this collaborative project was the flatware- 8, three piece, sterling place settings. 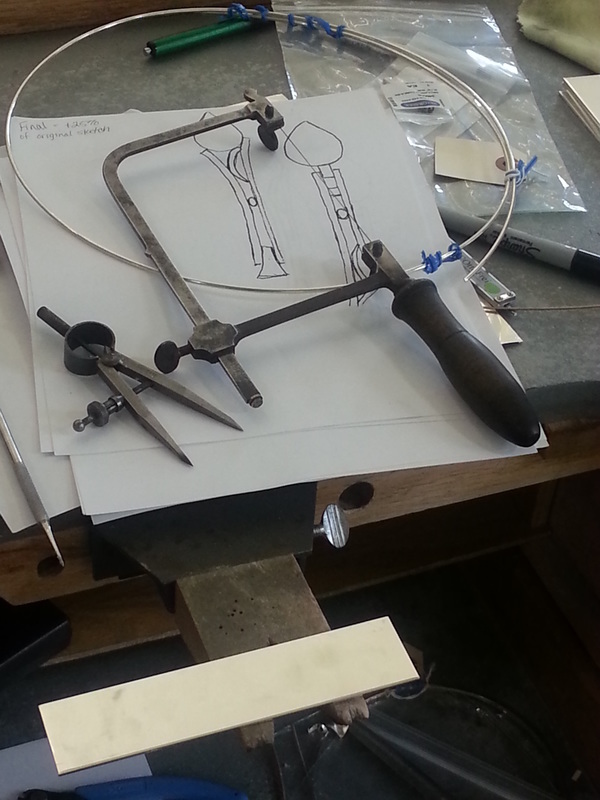 Here are a few process photos with captions. Although this installation was created for the 2015 ArtPrize competition, the link to the ArtPrize page is still active. Visit the project on the ArtPrize website here http://www.artprize.org/7-hungry-artists/2015/feast If you are interested in any of these works for sale please send an email. 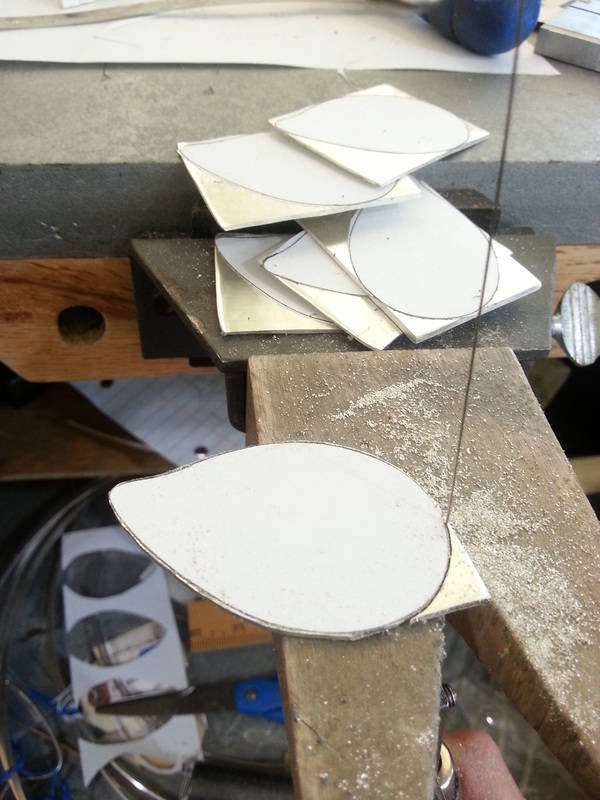 Laying out the patterns to cut in silver sheet. 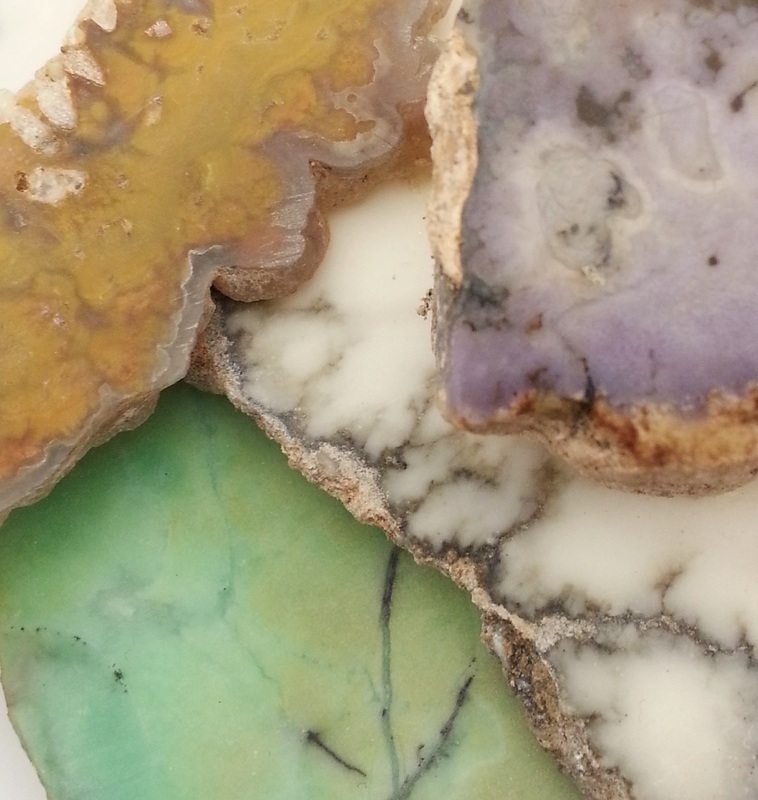 Selecting natural stone to match the glazes in the pottery. 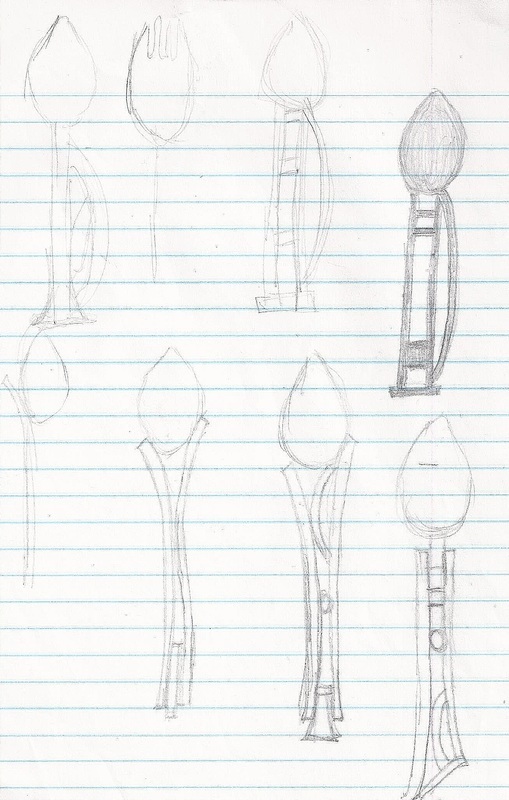 Original rough ideas for the flatware designs. 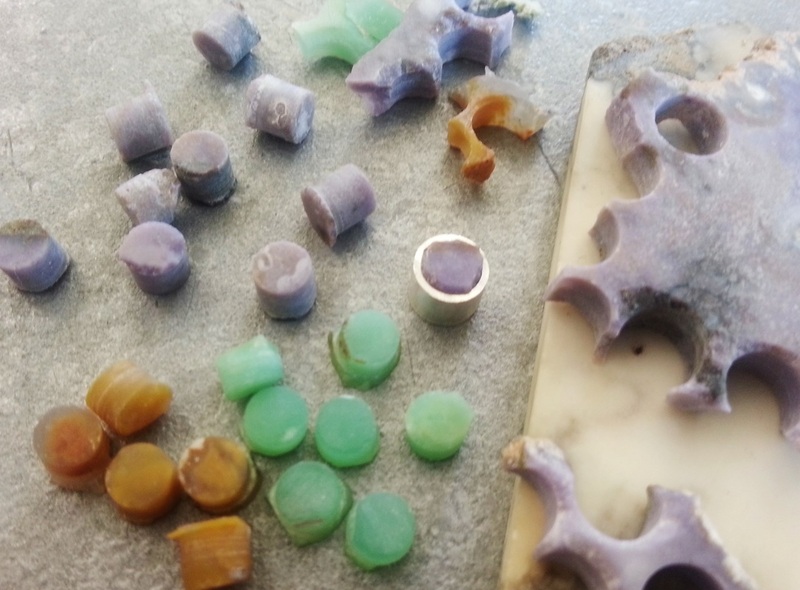 Drilling the stone for the gem inlays. 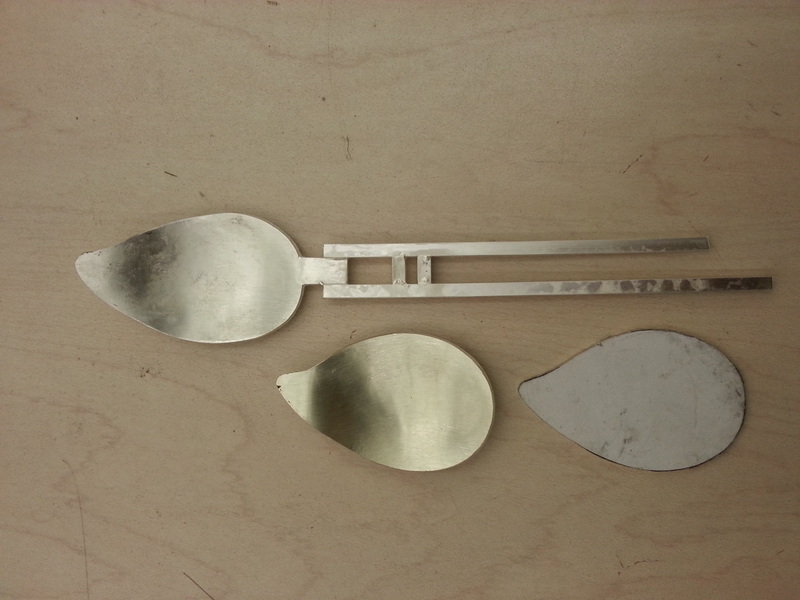 Cutting the spoons in silver sheet.